Kinderlime aims to make your entire sign in-out process paperless by allowing parents and staff to digitally record a child's drop-off and pick-up times. However, it is always good to have a backup in case the device you're using no longer has access to wifi. This can happen during a power outage, during a class field trip, if you have technical issues with your wifi, and so on. For these scenarios, our team has developed an offline mode for our app. 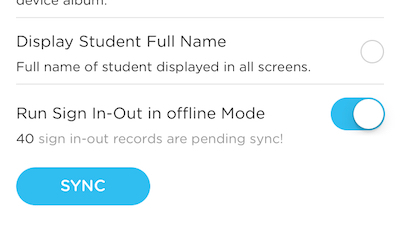 Offline mode allows you to continue using our app for Sign In-Out without any access to wifi. PLEASE NOTE: This feature currently only works on iOS devices. If you are interested in enabling offline mode, please contact us via the chat bubble in the lower righthand corner of the screen. We'll do the rest! 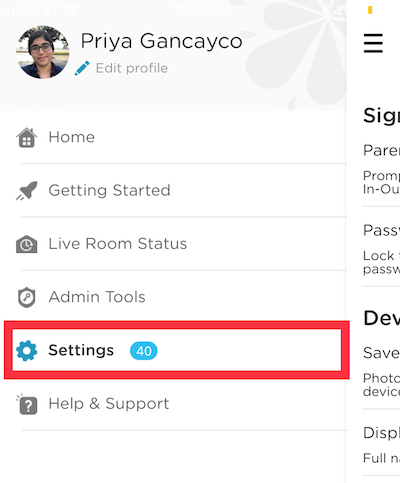 Once we have enabled offline mode for your account, you will need to log out and log back into the app on all of your devices. Use the app menu to go to Settings. There, you'll see the option for Offline Mode. NOTE: You should turn Offline Mode on only when your device does not have wifi. If you leave it on all the time, then ALL sign in-out data will need to be manually synced. 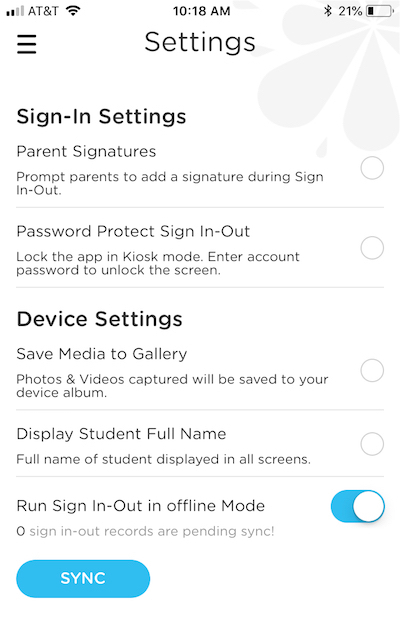 Once offline mode is on, staff can continue taking attendance and parents can continue signing in-out on the kiosk. After wifi connection has returned, you will receive a pop-up message asking you to sync your files. You can press "Yes" and your device will be up to date again. Alternatively, you can open the menu to view how many records need to be synced to the website. Select settings and click the "Sync" button. PLEASE NOTE: This feature only works on iOS devices at this time.